1. Because we have minimum price guaranteed. 2. 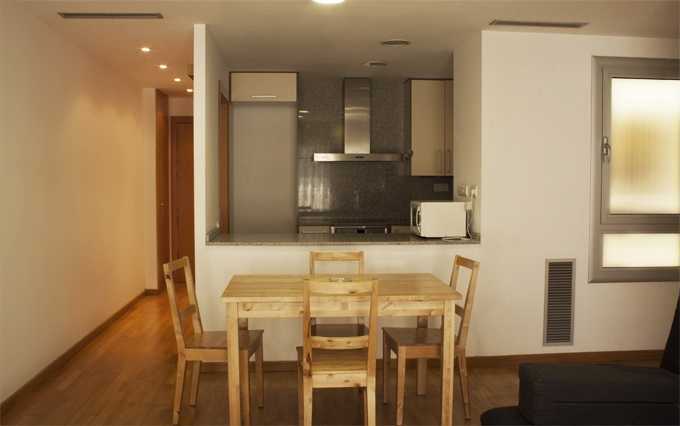 Because you will have direct contact with the accommodation, without intermediaries. 3. Because if you have a code, use it and if you do not have it, ask for it. 4. Because if you become a fan of our Facebook page and book from there you will get pleasant surprises. 5. Because if you have a special request it will be easier to attend to it. Choose our social networks and our messaging facilities to contact us and clarify any doubts you may have. Remember that we are here to inform you. 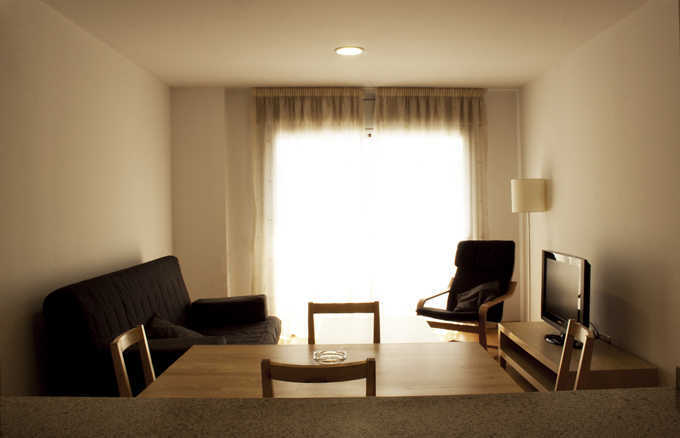 Hostal Abrevadero, has a parking space, to reserve it is necessary to check availability. The price is € 15 per day. In the same way, users are informed that there are several private parking spaces around the hostel. 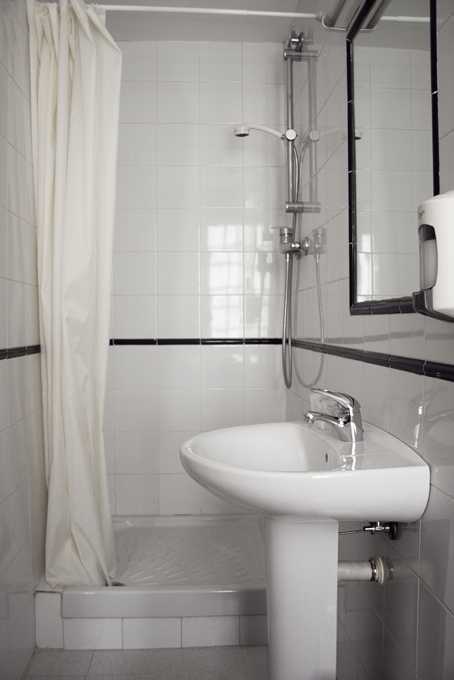 We are located at Vila Vila Street, number 79 in Barcelona, ​​between the monument the "mill" and the Apolo room. 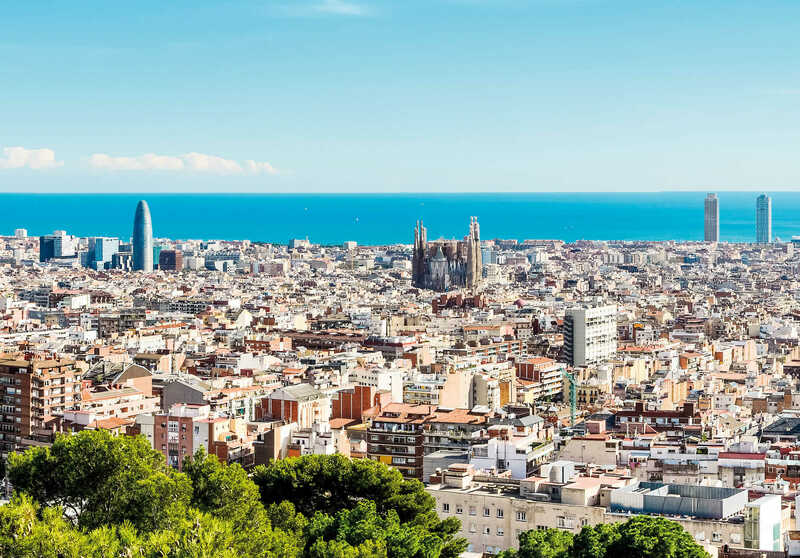 At 100 meters from the Hostal there is the "paral-lel" metro stop where you will find two metro lines L2 (in which you can connect with the holy family) and L3 (which connects with camp nou). 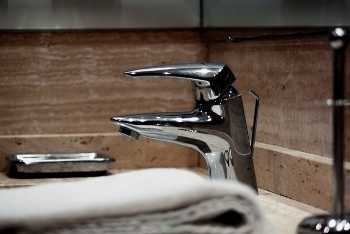 Here you can find countless areas of interest that will convince you. 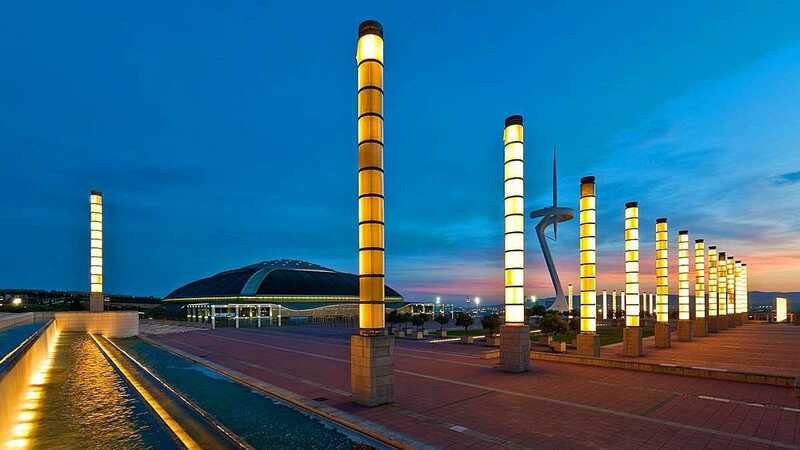 You can get close to the Palau Sant Jordi quickly. The Plaza España and where the most popular sources of Barcelona are located .. 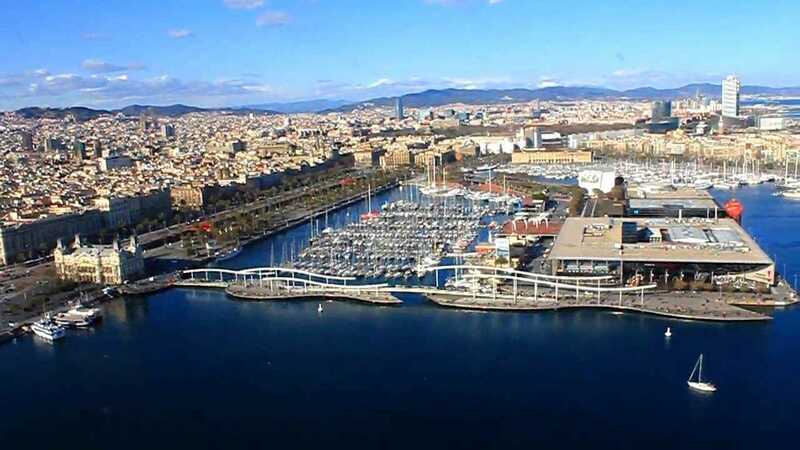 If you fancy you can use the swallows from the port where the aquarium of Barcelona awaits you at the Maremagnum. 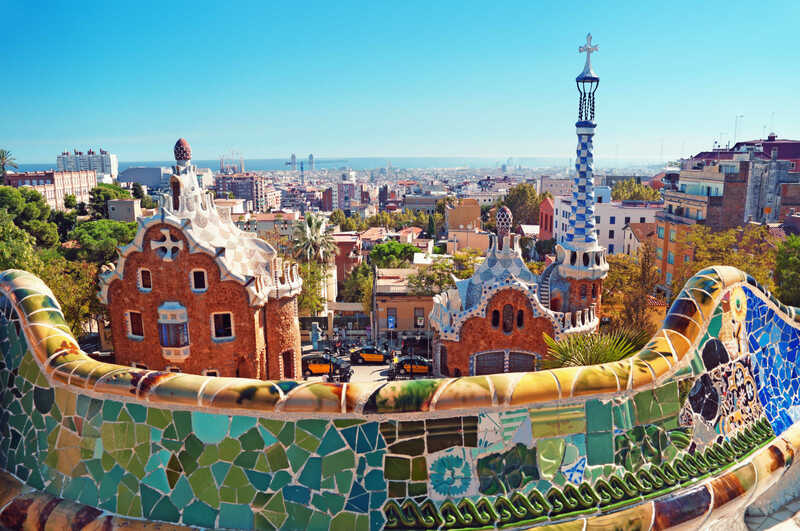 If not, you can take a walk through the Ramblas of Barcelona where you will find 7 minutes from Hostal Abrevadero. 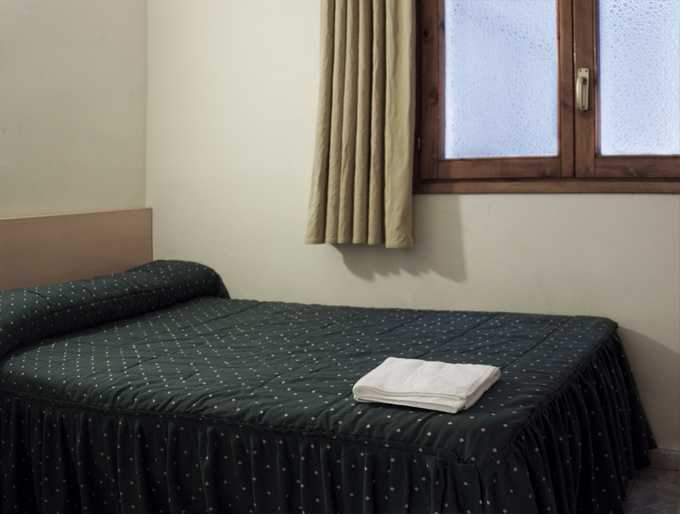 Single Room: All our single rooms are interior with windows to a patio. 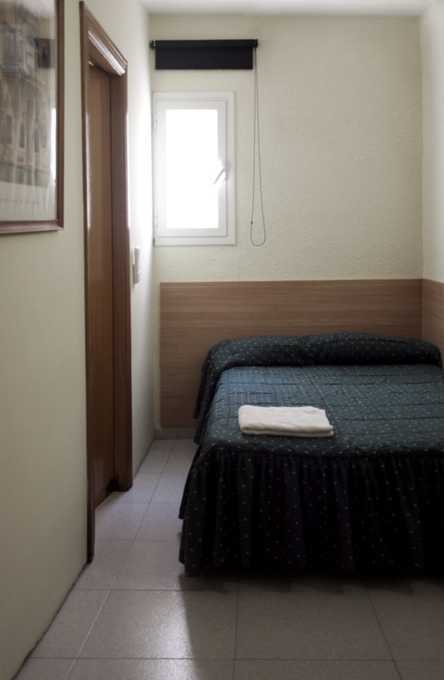 They are simple rooms with a bed of 120cm x 190cm and all the basics to ensure a good rest. 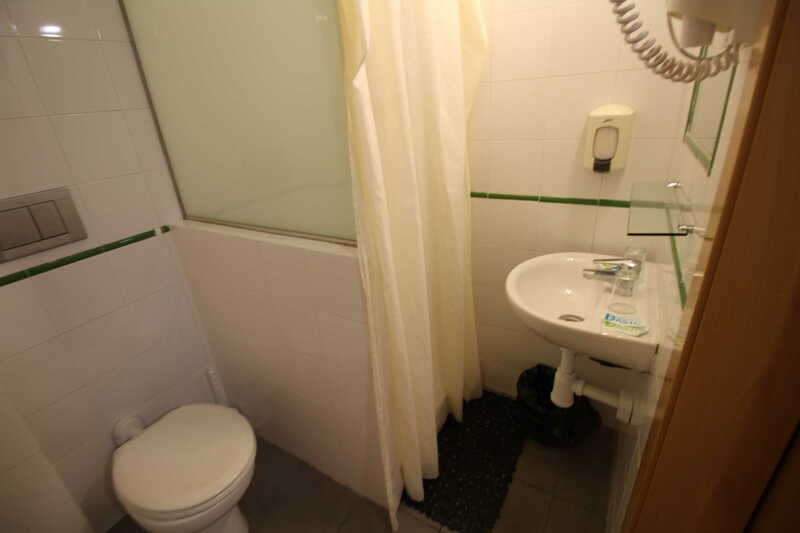 They have private bathroom, air conditioning with heat pump and WIFI. 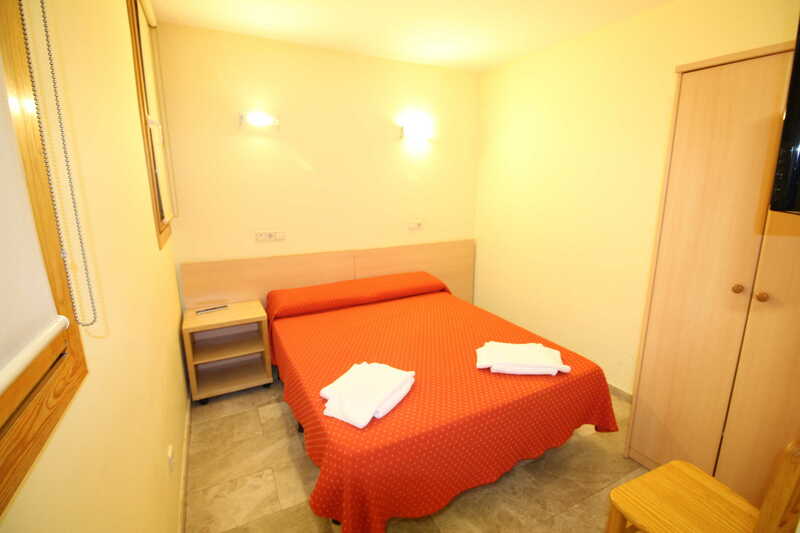 Twin room: The twin rooms consist of two single beds of 90cm x 190cm, all of them have private bathroom, television, heating and fan and WIFI. These rooms are located both overlooking the street and with windows to interior patio, you can request preference but this is subject to availability. 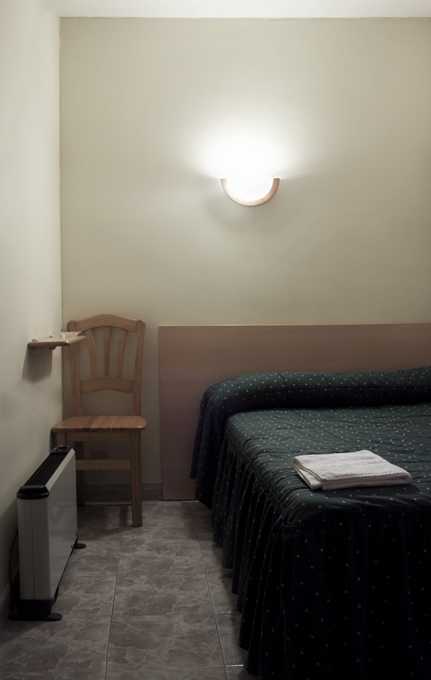 Double Room: All our dobule rooms are interior with windows to a patio. 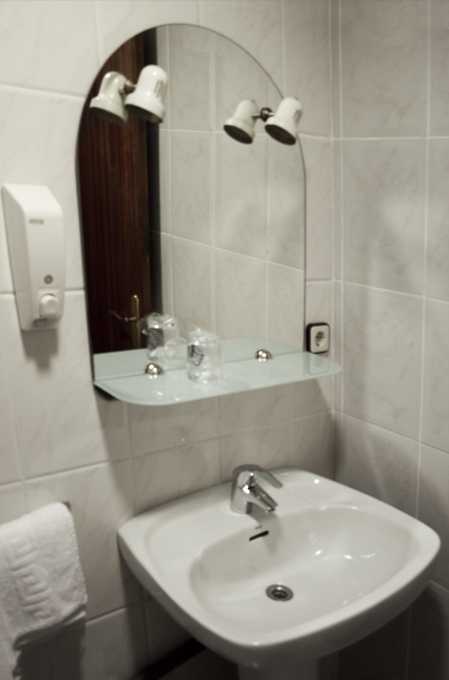 The double room consist of one queen size bed of 150cm x 190cm, all of them have private bathroom, television, air conditioning with heating and WIFI. 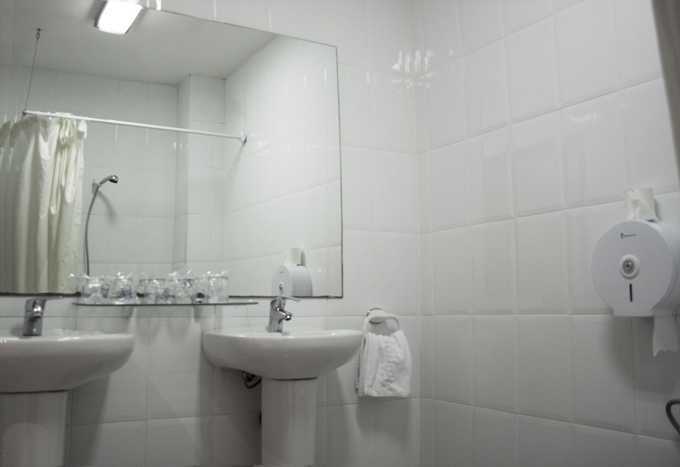 Triple room: The triple rooms are all interior, consist of three single beds of 90cm x 190cm, all of them have private bathroom, television, air conditioning with heating and WIFI. 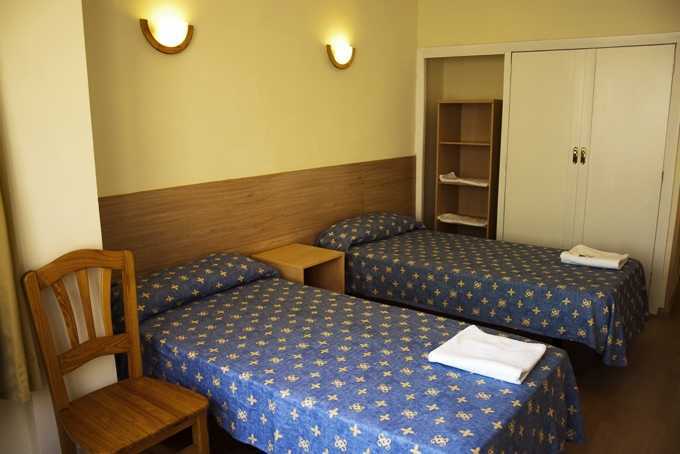 Quadruple room: The quadruple rooms consist of four single beds of 90cm x 190cm, all of them have private bathroom, television, air conditioning with heating and WIFI. 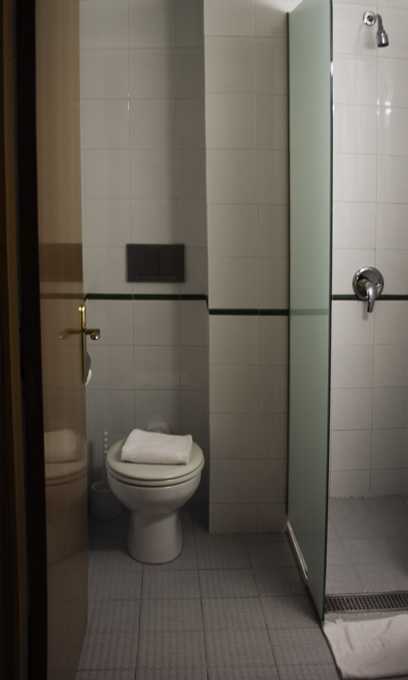 Calabria Apartment: The Calabria apartment is located just 50 meters from the Poble Sec Metro stop (L3) and about 800 meters from the Abrevadero Hostel, it has two double bedrooms, one with two single beds of 90cm x 190cm and the other with a queen size bed of 150cm x 190cm, two bathrooms, a kitchen equipped with oven and washing machine and a living room with a sofa bed. 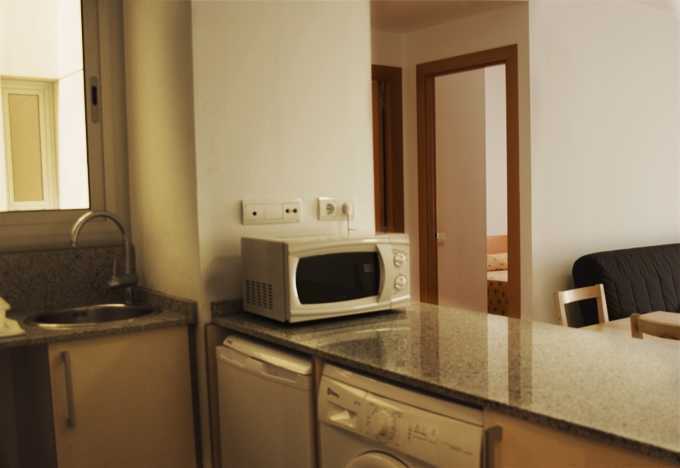 Among the other features to highlight is air conditioning, television, telephone with local calls included and WIFI. How can I book a room or several rooms? In what conditions can I reserve? Depending on the dates and the season, you will find a range of options that best suits you and your pocket. We accept credit / debit card and you can also make a bank transfer. It is important to keep in mind that if you opt to pay by transfer, we will need to process the payment at least 15 days before the arrival date and only for reservations made directly with us. Do you have parking? What is the price? Do I have to reserve it? Yes, we have a parking space available. It is subject to availability. The price is 15 euros per day. You will also find in the same street, at number 44 the parking Tres Xemeneies, in which showing the Hostal's bill will give you a discount. If I cancel, will I be charged a penalty? Depending on the reservation and the conditions of it, You can cancel up to 2 days before your arrival, as long as you respect the cancellation times, otherwise, you will be charged as a penalty first night. Or depending on the reservation, the entire amount. 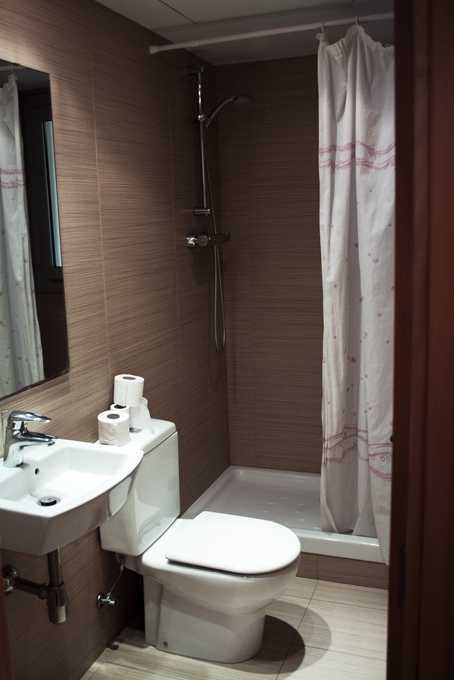 Yes, all rooms have a private bathroom inside the room. 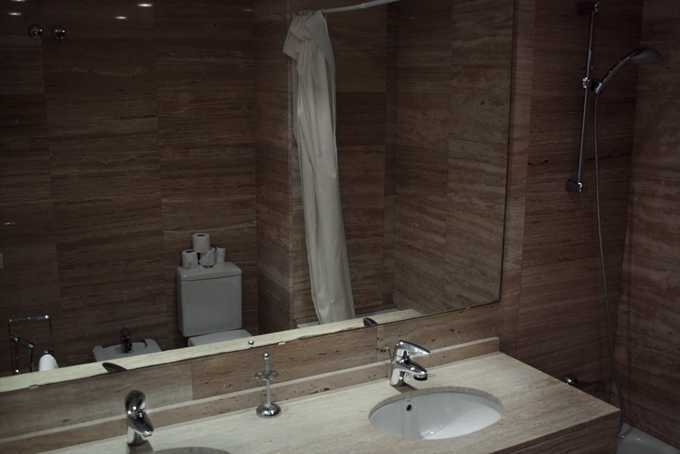 Do the rooms have towels, soap and gel? Yes, them have towels, soap and gel. What are the places of interest closest to the Hostal? 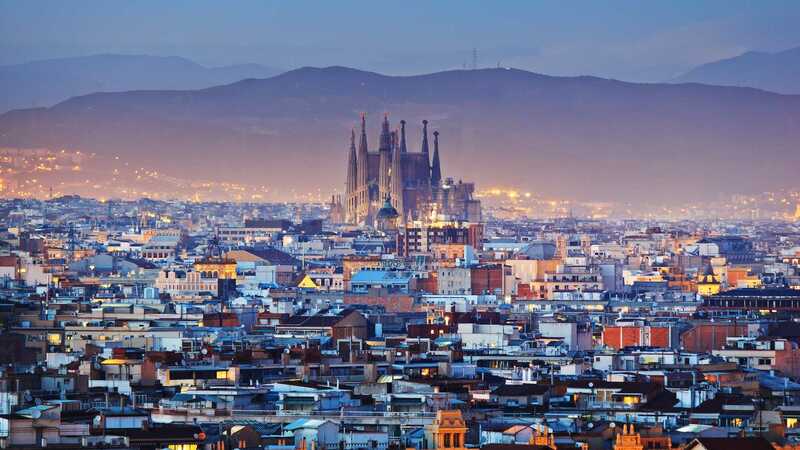 Palau Sant Jordi, Funicular de Montjüic, Spanish Poble Español, Ramblas and the gothic Cathedral of Barcelona, ​​Blai street, restaurants and infinite bars where good quality is served at a good price.